Marshall Bruce Mathers III (born October 17, 1972), better known by his stage name Eminem or his alter ego Slim Shady, is an American rapper, record producer, songwriter and actor. Eminem's popularity brought his group project, D12, to mainstream recognition. 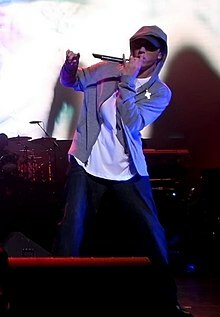 As well as being a member of D12, Eminem is also one half of the Detroit hip hop duo Bad Meets Evil, with Royce da 5'9".